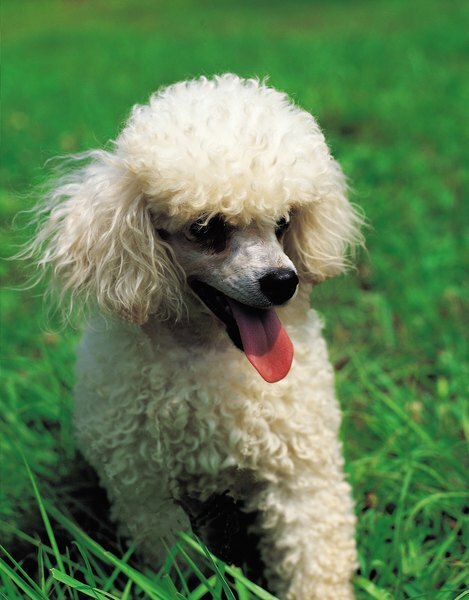 Poodles shed little to no fur, which can help folks with allergies. If you simply must have a quiet, no-shed pet, there are a couple of breeds that work best: basenjis and Italian greyhounds. Some low- or no-shed dogs are quite quiet, while others bark or yap instinctually. You can train periodic barkers to be more quiet, thus expanding your breed options. Non-shedding dogs won't track fur all over your carpets. Breeds with little to no shedding to consider include affenpincscher, Airedale terrier, Australian terrier, basenji, Bedlington terrier, bichon frise, Cairn terrier, Chinese crested, Italian greyhound, Irish water spaniel, komondor, lhasa apso, Maltese, poodle, Portuguese water dog, schnauzer, shih tzu, xoloitzcuintli and Yorkie. Basenjis are very quiet and do not bark, so are recommended for those in need of a quiet, low-fur pet. They can mimic other sounds in their environment and may yap, but won't make the traditional barking sound. Italian greyhounds are generally quiet, too. In general, many miniature and working low- or no-shed dogs bark. Terriers -- such as the Cairn and Yorkshire varieties, as well as miniature schnauzers were bred to bark at small prey, so their barking is instinctual. Likewise, herding dogs and hunting dogs, such as the border terrier, are more likely to bark. 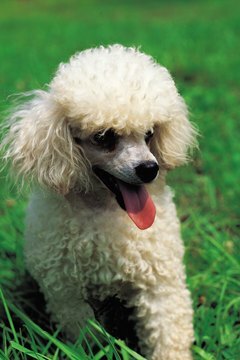 Toy poodles are known for noise-making. If you're determined to get a quiet pet, these breeds probably aren't the best match for you. However, not all dogs bark equally, so if you love Yorkies, it may be worth it to try to find a quiet one. A breeder can help you select a well-tempered dog who is less likely to bark than a high-strung pooch. In general, dogs tend to bark more when they feel lonely. To keep your pooch quiet, exercise her regularly and keep her engaged with interactive toys. This cuts down on unwanted pet noise. A Guide to Hypoallergenic Dog Breeds; Louise Montgomery; n.d.